PAY ATTENTION: At Vietnam Visa Easy, we are constantly looking for new ways to improve our customer value and satisfaction. This includes periodically reviewing our expenses and price lists. We are pleased to announce that we have reduced the price for both tourist and business visa for Indian customers. As of 15th April, the price drops $6-11 for tourist visa and $10-90 for business visa. We believe that this new price not only gives you a great value, it also reflects our commitment to customer satisfaction. If you would like to get a visa to Vietnam from India, please do not hesitate to contact us anytime. 1. Have 6 months of validity remaining on the passport prior to date of travel (you might be denied boarding with passport of less than 6 months validity). If your passport has long validity but no empty page, the airport customs officer will grant a loose-leaf visa. 2. Travel to Vietnam by air (visa on arrival is available at every international airport of Vietnam). Visa on arrival is classified into tourist visa and business visa. The maximum duration of stay on tourist visa is 3 months and maximum stay for business visa is 12 months. Please be aware that the visa becomes effective from travel date put in application form, not from date of application. Hence, you are advised to apply for the visa as soon as possible to avoid unexpected surprise at last minute. Getting on arrival visa gives you several big benefits. One of them is hassle-free from gathering documents for application. From the beginning of 2014, the Indian citizens have no longer had to provide guarantee letter from sponsor. The Indian applicants, like almost every applicant from other countries, just need to enter their personal details in online form to lodge electric Vietnam visa application. When it comes to price, Visa On Arrival helps you save a fortune since it’s super cheap compared to embassies’ charges. The price is even better when you apply for as a group. Speedy processing time is another reason reminding you considering using Visa On Arrival . And last but not least, you can easily submit the application from everywhere (India, UAE, Singapore, Malaysia…) and at any time without arranging appointment in advance. Vietnam visa on arrival refers to the visa granted at arrival airport, not mention that the travelers can submit application on arrival. 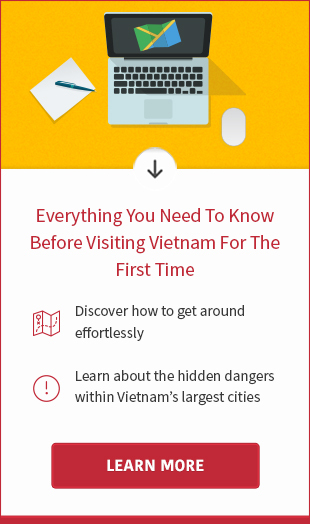 There is one step to do before you fly to Vietnam and receive the visa. That is obtaining approval letter. Please be aware that not any airlines will let you board the plane without showing approval at check-in counter. It’s very important to process the approval before departure. For Vietnam tourist visa application, you are able to apply online by filling out application form and proceed with payment step. The form is relatively simple to fill out. If you are not sure when to travel, just provide the expected travel date. Please review the visa validity mentioned at the beginning of the article to more understand why it’s possible to put expected date of travel. Similarly, you can select any port of entry in dropdown list since the approval can be used at every Vietnamese international airport. The most popular mistake that Indian applicants often make is putting in date of birth. Please be note that the date format is month/date/year. For example: if you were born on 12th July,1987 you will have to enter as follows: 07/12/1987. For Vietnam business visa application, you are not requested to complete any forms. All you need to do is emailing the passport copy with intended travel date. Shortly after the email is well received, we will reply you with a secure payment link. You just need to make payment with credit/debit card and the processing gets started then. We are pleased to confirm again that not any documents are required except for a passport copy when you place business visa order through our company. Should you are intersted in getting an urgent visa for Indian passport, please refer to Rush Vietnam visa service page. How to get visa stamp at airport? Once processing is completed, you will receive the approval with an entry/exit form via email. If you are not having letter on the confirmed date, please kindly check spam or junk email folder before contacting us for assistance. Stamping process takes around 10-30 minutes depending on the length of queue. If you wish to avoid the queue, stamping assistance service is a good solution. Be sure to double check the visa stamp before leaving the counter. It’s extremely necessary when you obtain for long-term business visa. · The second instalment is paid at the airport. This is the fee to get visa stamped onto your passport. You have to pay the fee by cash in USD or VND. Other currencies are not accepted. For example: if you apply for 1 month single tourist visa for 1 person for normal process, you will have to pay $25 processing fee in advance to get visa approval letter and pay $25 stamping fee later at airport to get visa stamped. To get urgent visa in 1 working day, you have to pay $10 extra fee. Should you have any queries in respect of Vietnam visa for Indians, please do not hesitate to contact us. We are always willing to give you the best support. Thank you very much for visiting us!